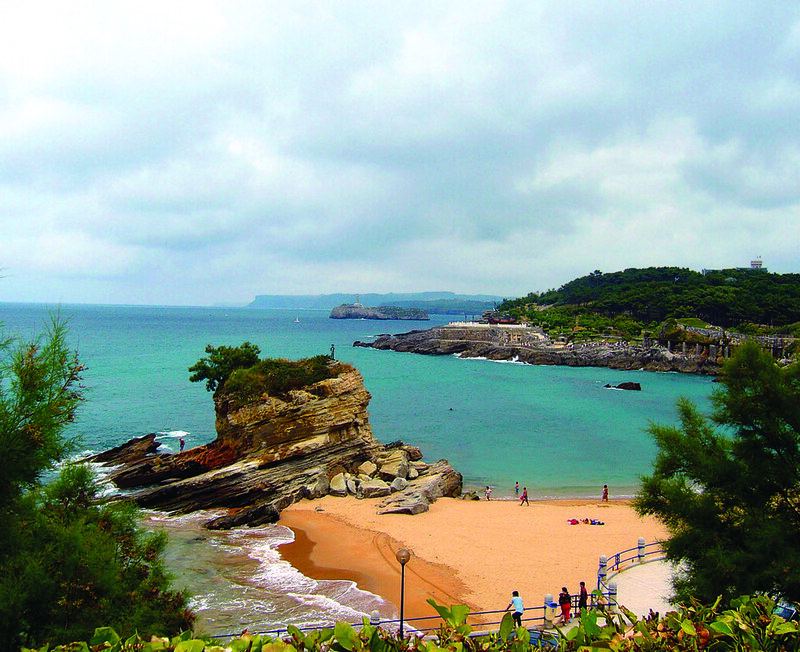 The Human Biology on the Spanish Coast program aims to provide a once-in-a-lifetime educational experience that connects broad biological themes to one another, as well as to students' lives. In BIO 346, students will connect the study of epigenetics, genetics, and evolution to societal forces and contemporary concerns, to recent and ancient history, and to evolutionary relationships with other organisms. Students will study the peopling of the Iberian Peninsula, from ancient hominids to the origins of farming. They will visit ancient caves with pre-historic art, an active research center in human evolution, as well as the Natural History Museum in Madrid. Students will also enroll in SPN 319S or SPN 328C to receive either introductory or advanced instruction in Spanish language and culture. Students live with host families, and classes will be held at the University of Cantabria, walking distance from the main boulevard and beach. Students live with homestay families in apartments (two students per family). Three meals a day with local family. Homestays are within walking distance or a short bus ride to the University of Cantabria. Students are required to stay in program housing. 2019 program fee: $4300. Includes housing, 3 meals/day, day trips, weekend excursion, and on-site orientation. Program fee does not include airfare, books, insurance, transportation, and personal expenses.